Who said you can't have function and fun!? Say farewell to bland blackout curtains and welcome this standout option that will look good and keep light at bay. 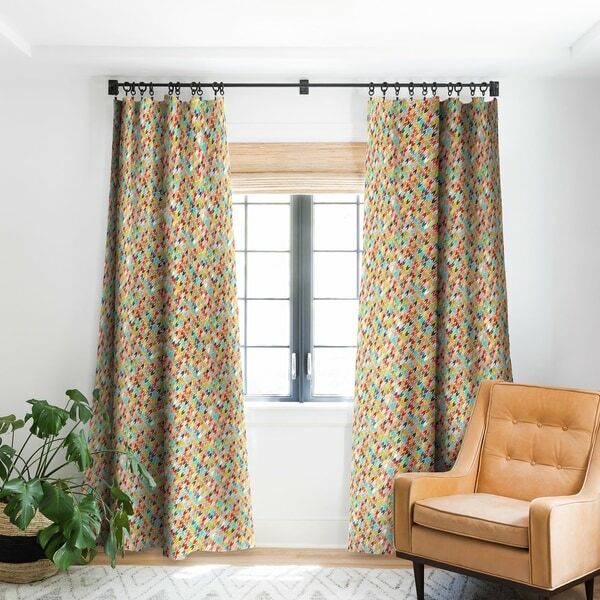 Whether you are looking to get your beauty rest of just want to protect your décor from fading in the sun, these curtains will add the finishing touch you've been looking for! Made of 100% woven polyester, the opaque fabric blocks most light. A 4" hanging pocket makes it easy to hang on any rod. Art is printed on the front side and the back side is a sleek white. Machine wash cold when they need a little cleaning. This listing is for a single panel. A fun fact, each purchase supports artists across the globe, how cool is that! Dimensions 96.0 In. X 50.0 In.